It's time again for another weekly card sketch! 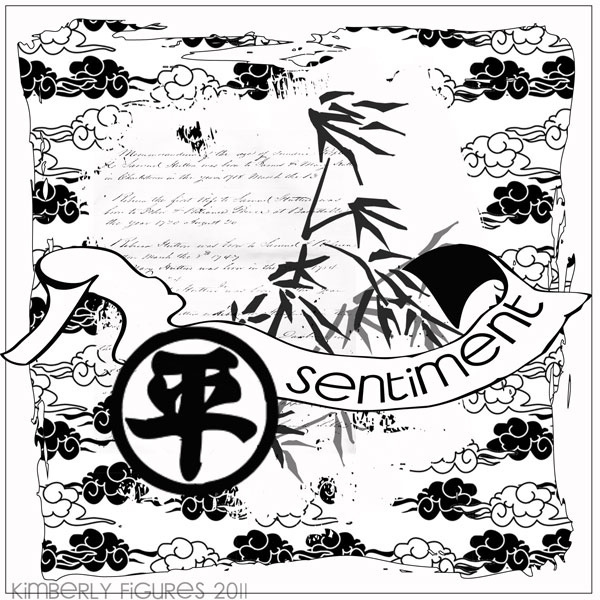 This week we have a fabulous sketch from the lovely Kimberly! 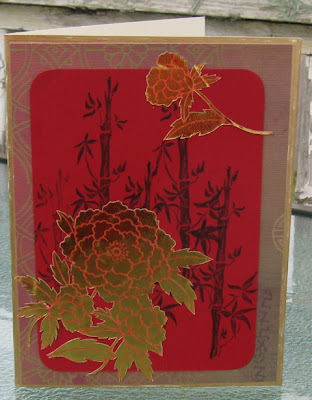 Here is the card Kimberly created from her sketch. 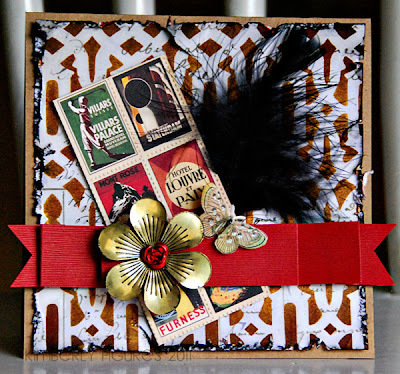 Love the contrast of different elements and the vibrant pop of red on her card. 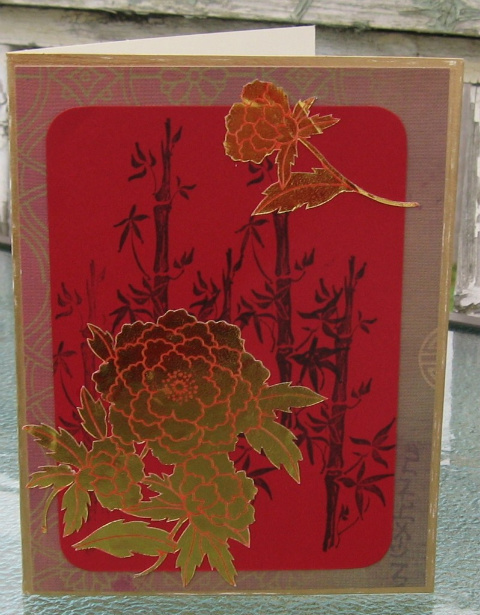 I love the Asian flair of Gloria's card from the bamboo stamp she used to the foiled gold flowers. Beautiful! Joanne's vintage card looks amazing! Love the distressing that she did and how the different patterned paper peeks out from behind of another. Awesome! 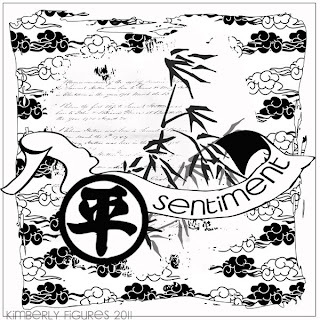 You can play along in the sketch challenge as well. Just upload your card here. And stay tuned for next week, we have a change coming your way! Great sketch and fab inspiration by the dt!